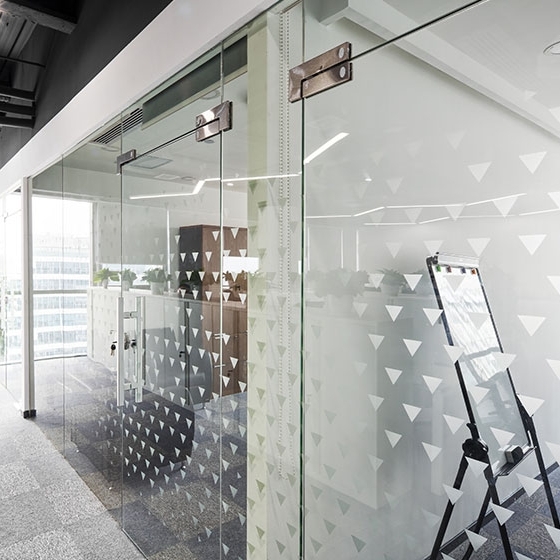 Five inspiring ways to use digital print technology to decorate a Home or Business environment. Digital printing is becoming more and more accessible and affordable. This leads to an increase in creative ways to create interior decoration using on-demand printing. With any innovative technology, it can initially take time before we recognise and acknowledge its full potential. Think about the introduction of the iPad in 2010. At the time, everyone wondered what they would do with such an oversized iPhone, but since then, more than 350 million iPads have been sold — a multiple of that of tablet computers from other brands. In 2010, it was difficult to recognise the broad number of uses for the tablet, and in 2018, we see the same thing in digital printing for decoration of homes and businesses. The essence of the technology is clear, but what can you actually use it for? 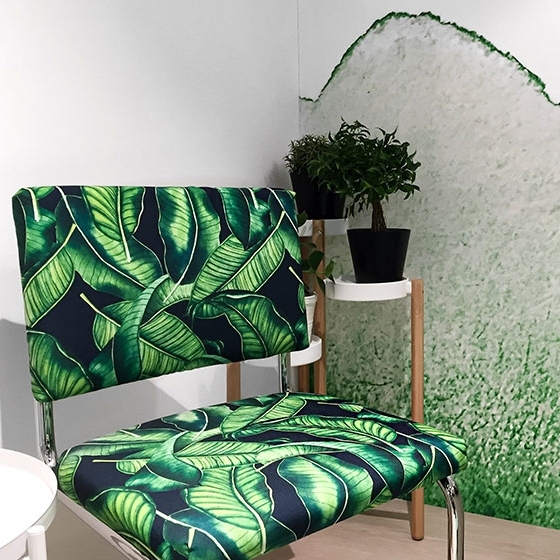 Focusing on a few inspiring examples of innovative digital print applications has the ability to drive a revolution in the field of Interior decoration. Wallpaper is indeed the most obvious use of digital printing for interior decoration. For a long time, wallpaper had a very corny and old-fashioned image, but new modern designs and on-demand digital printing changed this. As a result, this decor staple from way back when has suddenly become cool again in recent years. 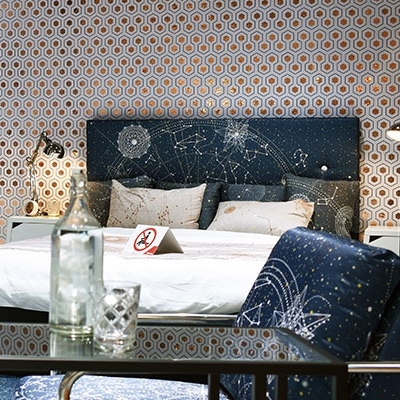 Nowadays, suppliers can provide wallpaper in just about any design, either based on their own designs or according to a customer’s specifications. Do you want wallpaper with a specific photo, colour scheme or maybe of a certain structure or fabric? Thanks to inkjet print technology, all of this is completely possible, namely using sublimation, UV, or Latex printing. Digital printing and upholstery is a golden combination. The design of a fabric no longer needs to be generic and suitable for mass production. Various types of fabrics can be printed on-demand (even silk!) with any possible design and in any required quantity. As such, the uses are endless and affordable. Think about unique curtains, upholstery for chairs and couches, bedding and pillows. The upholstery can be designed to perfectly blend in with the colour scheme or print required by the interior decorator. Sublimation print technology also delivers very lively colours, enabling even bright tropical colours to be used effectively. When we mention decorative glass, most people think about stained glass windows. Thanks to UV, Curable digital printing technology, printing can be done on more and more materials, including glass! An additional benefit of this technique is that the printed designs are scratch- and waterproof and it will not fade with time. This sounds awesome, but does this mean we are going to print masses of one type of stained glass window? No, there are many more uses of glass printing besides stained glass windows. Keep in mind that glass does not always need to functionally fit in a frame. Glass panels could, for example, also be used to give an artsy or modern twist to the architecture or interior decoration. It is possible to print more than two thousand transparent or covering colours on standard glass or structured glass. This can be done to completely transform a bathroom, meeting room, office, hotel lobby, or a wall. In addition to glass, it is also possible to print directly on ceramic tiles. This offers amazing new opportunities to print unique designs on floor and wall tiles for kitchens, bathrooms, swimming pools or to create a complete mural. Printing on demand enables a design to be distributed seamlessly across multiple tiles, or even an entire wall. This introduces a new level of interior decoration potential for these areas. Finally, there is also another recognisable use: do you need more tiles for a certain project where the original tiles you purchased are no longer available? A small batch can be reproduced on request using digital printing technology. We started with the most obvious use of digital printing and end with probably the most surprising: wood. 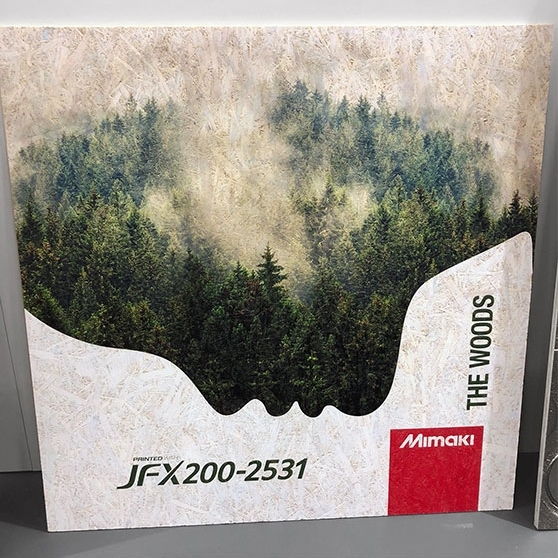 For those who like a more rustic, country atmosphere in the home or business environment, digital UV printing technology can be used to print directly on wood. This can be done on small objects or panels, but there are also large format printers that can be used to print directly on a door! This gives restaurants, cafés or hotels new options to include unique printed wooden elements in their interior design. Without digital printing technology, this would indeed be almost impossible and unaffordable, due to the manual labour required. Now this unique design element is within easy reach for projects of any size.